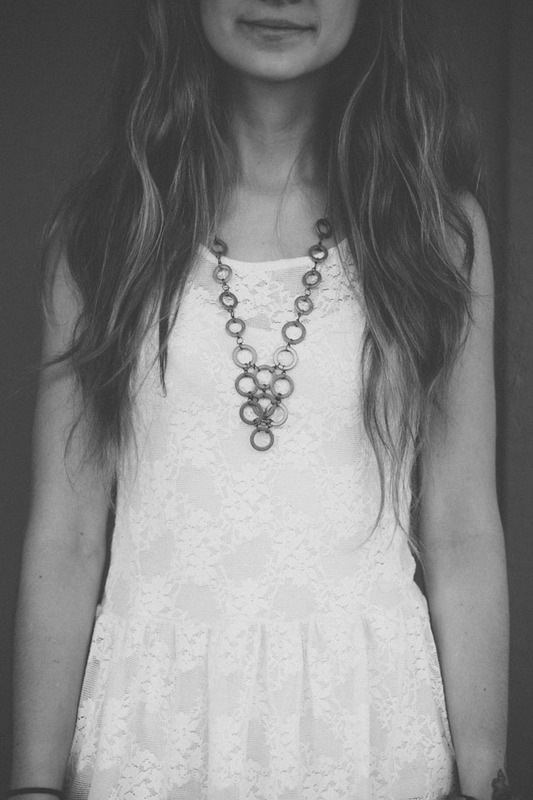 As much as I love fun and different necklaces like this one, I usually opt for a gold necklace. 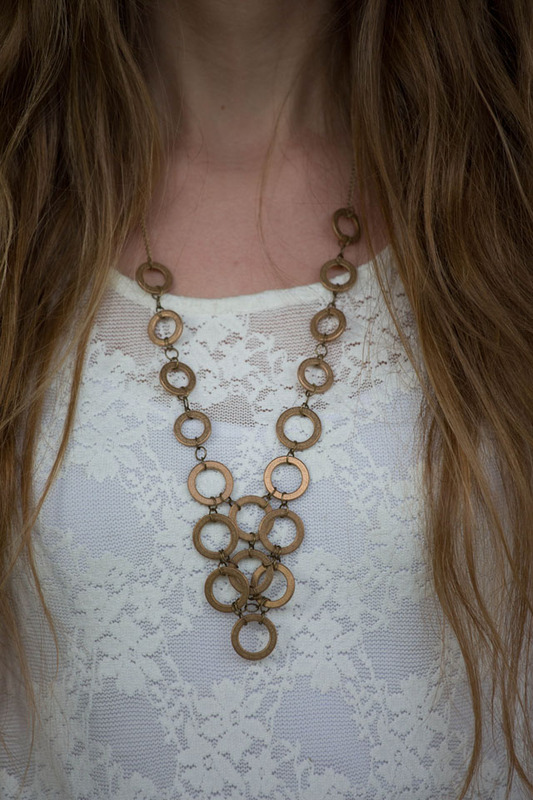 Here is a simple DIY made out of bronze washers from the hardware store. 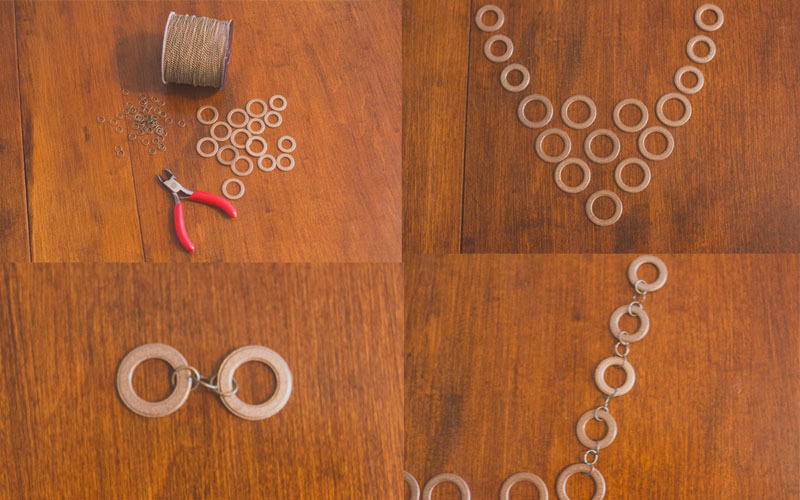 Materials: Various sizes of bronze washers (if you can't find, spray paint normal washers), pliers, jump rings, chain. Lay out the design you want in washers. Connect washers together with jump rings. For the sides of the design I used three jump rings between each washer. After connecting all washers, add chain! 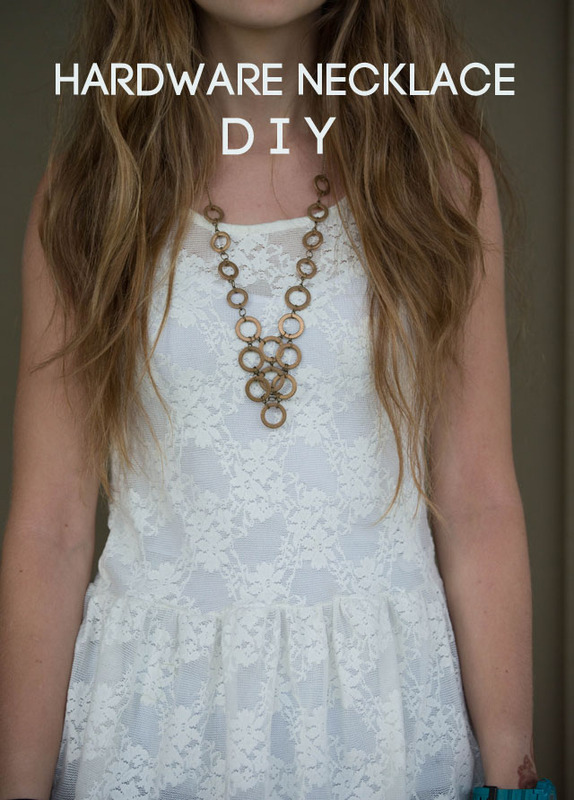 There you go, a simple hardware necklace! Ohhh! Definitely cool. I have been thinking a lot about hardware jewelry recently! Love this! 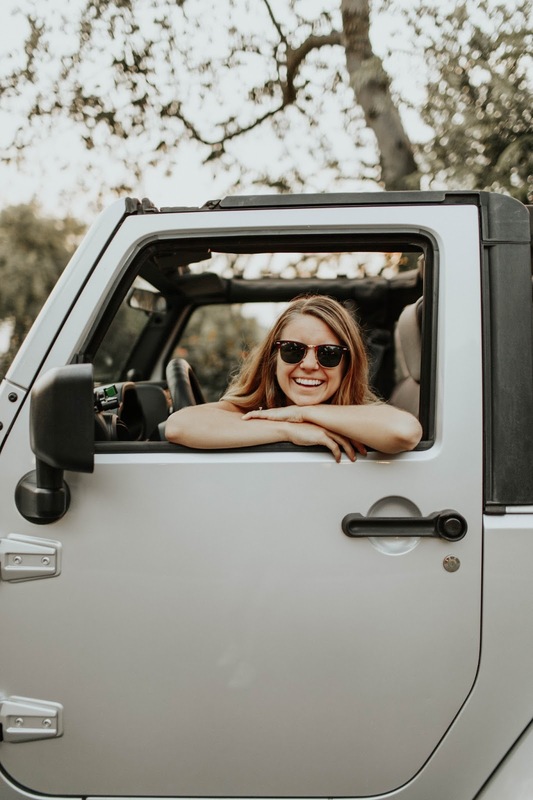 Just discovered your blog! Its darling!